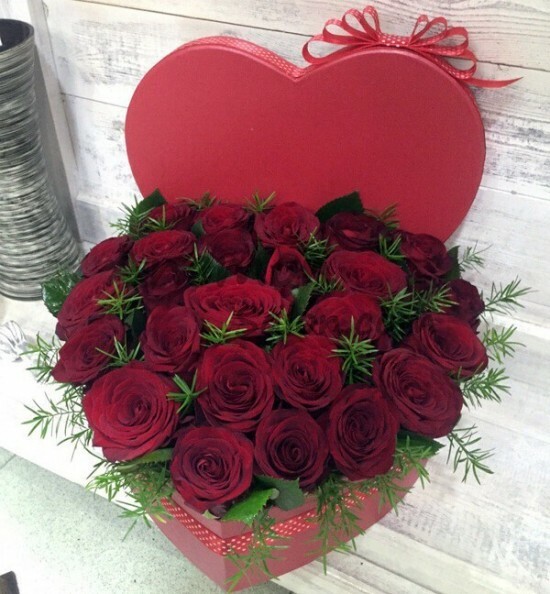 25 red roses in a heart shaped gift box. Size: ↕ 40 cm. ∅ 35 cm.